It looks as though most North American retailers are running the same offers on Sony's systems this Black Friday. Walmart has also advertised its holiday sale on a whole range of products, and among them are deals we've seen already -- but it's worth looking at them again, as they're pretty darn good. As with Target and Best Buy, the headline offering regarding PlayStation is the Marvel's Spider-Man bundle, which comes with Insomniac's hit game and a standard 1TB PS4, for only $199. Accompanying this is the PlayStation VR bundle including Astro Bot Rescue Mission and Moss - two of the best games for the system - for just $199. They may be the same offers, but it's worth knowing where you can get these deals, as we're sure they're bound to be popular everywhere. Will you be shopping for a bargain on Black Friday? Open up your wallets in the comments below. 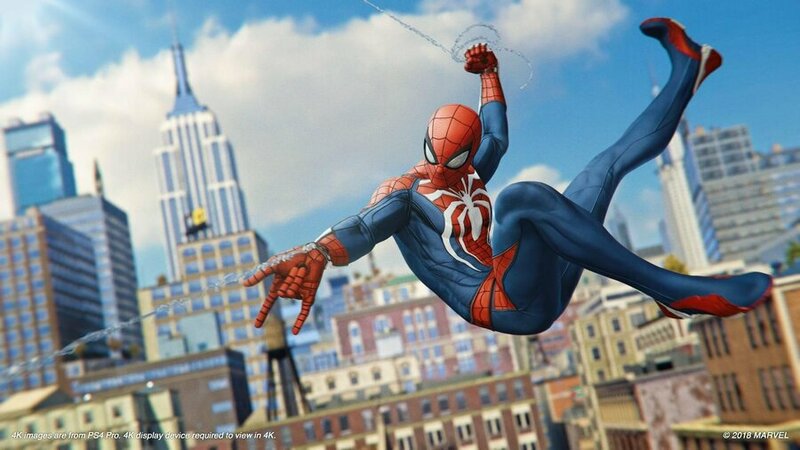 The Spider-Man bundle at $200 is an amazing deal. It will sell out immediately at the stores. @Jimmy_G_Buckets It's a good deal, but there are 2 things against is selling out that fast. Maybe 3. PS4 is 5 years old this holiday, a lot of people who want one have one. Though there are kids and teens this would make a nice first console for. PS4 Pro is 2 years old. I would think by now people looking to buy a PS4 would want the newer model. A lot of people have 4k TVs now. PS5 is maybe 12 to 18 months away, 24 tops. People waiting 5 years on a PS4 may as well just wait for a PS5 now. I think a lot of us are optimistic about a PS5 being able to play PS4 games. I am hopeful since so many people have a PS4 those $200 PS4 bundles sell well. System has been getting a lot of support for a $200 peripheral with a measly 2 million install base. That number really needs to go up for VR to get more and better games. And with not much else new out there, the X1X is a year old and Switch 1 1/2, hopefully PSVR can rack up some sales. I will attempt Amazon first because I hate shopping let alone on black friday. I have a feeling the 2TB model will show up somewhere and if so I’m grabbing it!! @joey302 I just wasn't sure if you meant the Pro or Slim lol.